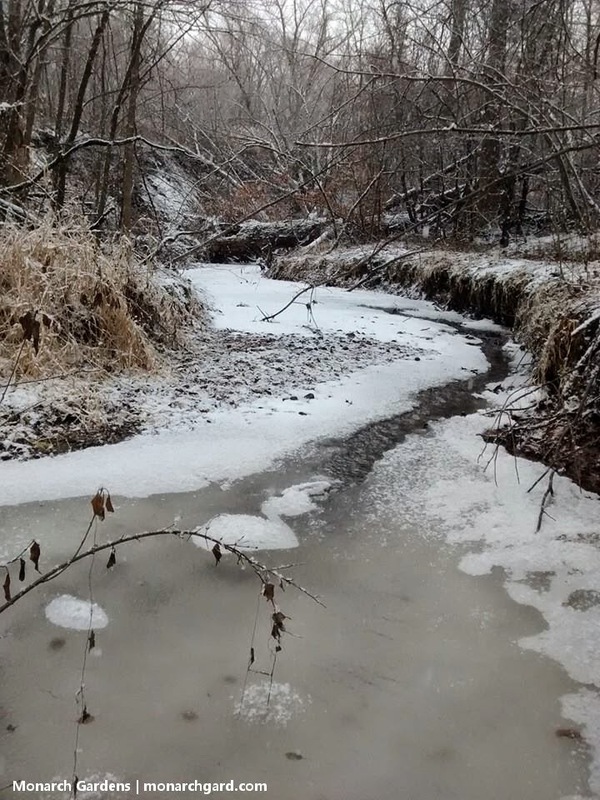 I was in Minnesota over Christmas and just as we were settling down to unwrap gifts winter arrived. 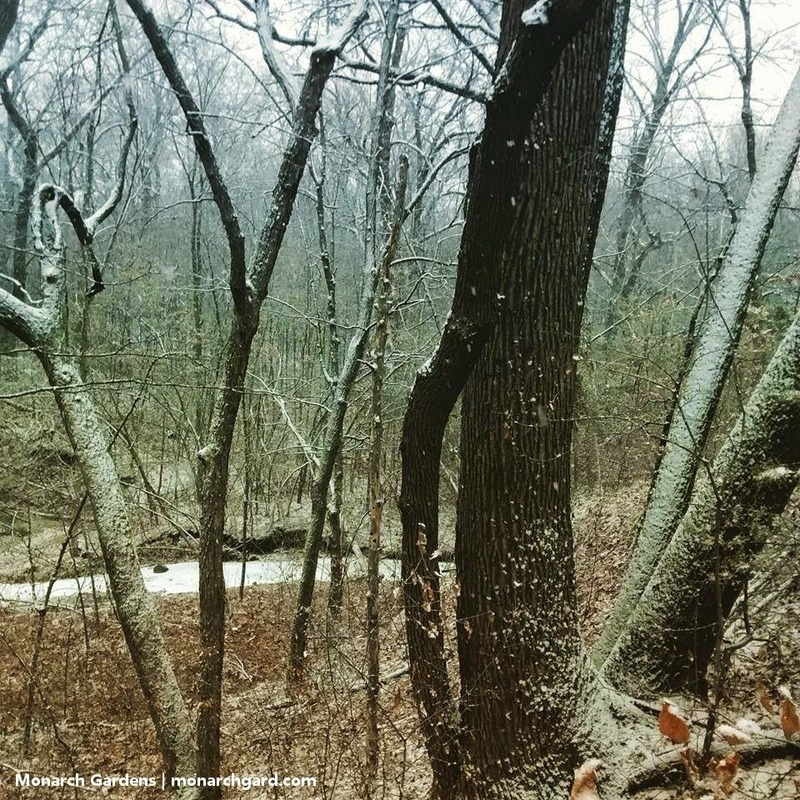 While my family ate lunch I headed out for a walk in the woods where the snow hitting the trees created a simultaneous cocoon and unceasing echo chamber. I was in heaven. Novel ecosystems -- places so altered by humans they can't support the native life that once thrived there, so a mix of exotic and native move in and create a new ecosystem. Let's get one thing clear: nature no longer exists. With methane and CO2 emissions there's not one place on earth that hasn't been substantially altered, but to say that humans have always been altering the earth is a bit of a false argument for accepting and adapting to novel ecosystems. The most often used example is Native Americans burning prairie. Let's get one thing straight, various Plains tribes setting fire to grassland to encourage lush new growths -- which in turn attracts bison herds -- is barely on the same scale as raising global temperatures several degrees, acidifying oceans, creating dead zones in the Gulf of Mexico, melting polar ice caps, extracting tar sands oil, or suburban sprawl with hard surfaces and lawn. I agree on the idea of novel ecosystems -- we do live in a substantially altered world. But what really grabs my goat are the voices who embrace, in totality, novel ecosystems. Why? In that embracing I don't hear what we need to hear in order to move on regarding our altering ways -- a sense of guilt, remorse, of sadness, of loss, of deep, deep, deep, love for the world and all of its species who will struggle for survival. I feel like when we are quick to accept the reality of novel ecosystems we are simply embracing a weak panacea -- anything to move on from the hurt we must feel in order to make deep, long term changes to how we live and how we manage the planet. Because that's exactly what climate change and novel ecosystems demand of us -- the managing if not micromanaging of every ecosystem in the hopes of lessening the pain of transitioning to a new world we're creating blindly and without understanding of what we're replacing. We can't know or anticipate what ecosystem functions are being lost, how these will trickle up to larger species like us. 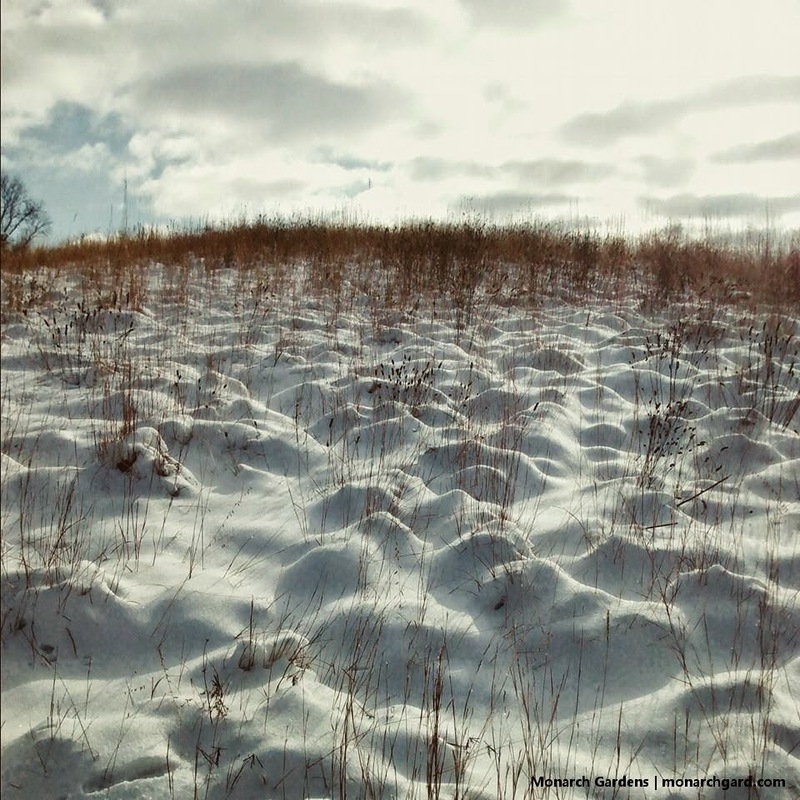 We don't even know all the soil bacteria in healthy prairie, let alone what function they serve. To me, being too fast to accept novel ecocystems comes from the same sickness that tears up landscapes for our own immediate needs -- it doesn't stop to think, reflect, and most importantly to feel. And perhaps it doesn't stop long enough to deeply understand a place, what was, what is, and what may be. We have to fall in love with every place, every ecocsystem, if we have any hope of helping it. To me, novel ecosystems have the potential to let us stay out of deep love of place, they help ease the burden of invasive species we've brought in from other ecoregions, the reality of concrete jungles with impermeable surfaces and heat islands, the vast rows of corn doused with chemicals that not only kill birds and insects but most soil life. We have to hurt for our place. We have to feel the loss and the absence. I'm not a masochist, trust me, I just know that if we don't grieve while there's still time, we may repeat our mistakes (and grief is unimaginable love). Kids today see 35% fewer butterflies than their parents did 40 years ago. U.S. grasslands may lose 77% of their size by 2100 -- the most threatened ecosystem on the planet. 1/3 of global plant species face the danger of extinction by mid century. If we're to help ourselves and other species adapt to a world changing so fast adaptation may be impossible regardless, the least we can do is learn the species of our home ground -- they have much to teach us about adaptability, wildlife support, soil life, and what new species will need to thrive in a world that is, for good and bad, now of our own making. Love and know your place with all of your heart -- be brutally open to the swings of loss and ecstasy that such deep love brings -- because this is the only reality that will allow novel ecosystems to fit the ecological ideal we hope they'll perform. Where can we start? In our gardens. Our parks. Our highway edges. “I don’t even like the word maintenance,” he says. Maintenance is what keeps cars running smoothly. These landscapes have to be managed, with an eye for change. “You’re setting a process in motion, as opposed to putting a finished product in the ground." And he looks on rich soil as a liability! I just don't believe in amending soil unless it's a vegetable bed. Weaner is also big into self education and knowing your plants. YES! That's exactly why I give clients a big ole plant list with detailed horticultural info, seasonal and wildlife value, with links / books to do more research. The more you know, the more empowered you are, the more free and connected you are. Hope to meet Larry some day. Personally, I think 2014 was a phenomenal year for garden books that matter. Maybe it's that way every year, but something seemed different. Below are several you must read if you're into sustainable, wildlife benefiting, low maintenance gardening (and you are because, hey, why else would you be visiting TDM?). Get these books at your local indie bookseller. We've all seen gorgeous perennial gardens packed with color, texture, and multi-season interest. Designed by a professional and maintained by a crew, they are aspirational bits of beauty too difficult to attempt at home. Or are they? 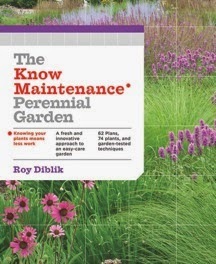 The Know Maintenance Perennial Garden makes a design-magazine-worthy garden achievable at home. The new, simplified approach is made up of hardy, beautiful plants grown on a 10x14 foot grid. 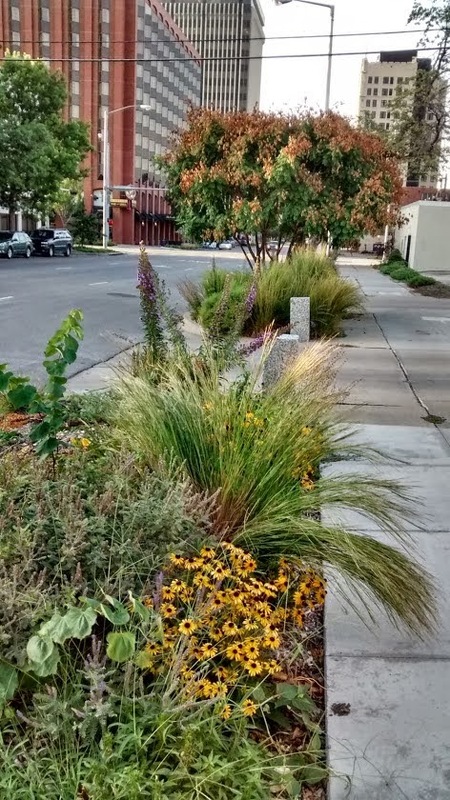 Each of the 62 garden plans combines complementary plants that thrive together and grow as a community. They are designed to make maintenance a snap. In fact, the entire garden is mowed down at the end of the season! The garden plans can be followed explicitly or adjusted to meet individual needs; size can be altered by treating the grid-like design as a modular building block that can be halved, doubled, or tripled as needed. This complete garden system makes a gorgeous perennial garden available to everyone, no matter their skill or the size of their space. Wildflowers are the jewels of spring and summer everywhere. Families drive miles to witness their beauty in wild landscapes. Now, gardeners are discovering that they can easily and successfully cultivate these hardy native wonders right at home, for year-after-year enjoyment. Wildflower farmer and floral designer Miriam Goldberger believes that wildflowers belong as an essential part of North American gardens. Taming Wildflowers is the ultimate DIY book on wildflower gardening: part wildflower history (“How Wildflowers Changed the World”), part upbeat, informative how-to, and a little basic plant science, and an easy primer on designing with these wild and wondrous blooms. Her richly photographed book shows gardeners how wildflowers enhance the beauty and environmental health of their gardens by attracting birds, butterflies and other important pollinators; the simple steps in seed propagation (“Making Babies”); cutting garden must-haves (natives and non-natives); integrating wildflowers into the vegetable garden; harvesting fresh and everlasting wildflowers; drying; using floral design secrets to create long-lasting arrangements; and how to design a wildflower wedding. 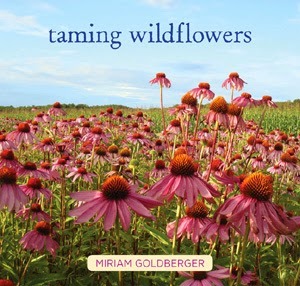 Features more than 60 of Miriam’s favorite wildflowers and 300 full-color photos. It may seem counterintuitive to want bugs in a garden, but insects are indeed valuable garden companions. Especially those species known for eating the bugs that eat plants. Assassin bugs, damsel bugs, and predatory stink bugs are all carnivores that devour the bugs that dine on a garden. 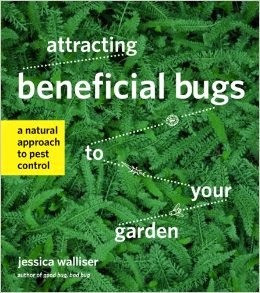 Attracting Beneficial Bugs to Your Garden is a book about bugs and plants, and how to create a garden that benefits from both. In addition to information on companion planting and commercial options for purchasing bugs, there are 19 detailed bug profiles and 39 plant profiles. The bug profiles include a description, a photograph for identification, an explanation of what they do for the garden, and the methods gardeners can use to attract them. The plant profiles highlight the best plants for attracting beneficial bugs and offer detailed information on size, care requirements, zone information, and bloom time. Design plans show gardeners how to design a border specifically for the bugs. This complete, hands-on guide is for anyone looking for a new, natural, and sustainable way to control pests. A home garden is often seen as separate from the natural world surrounding it. In truth, it is actually just one part of a larger landscape made up of many living layers. And the replacement of the rich layers of native flora with turf grass greatly diminishes a garden's biological diversity and ecological function. The Living Landscape seeks to reverse this trend by showing gardeners how to create a landscape that is full of life. 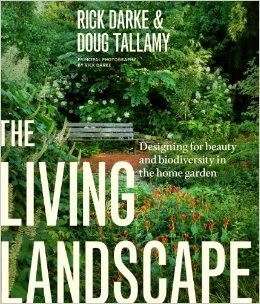 Written by Rick Darke and Douglas W. Tallamy, two of the most important voices in sustainability and horticulture, it is the definitive guide to designing a beautiful, biodiverse home garden. The authors first explain each layer of the landscape and what role the plants within them play in the larger environment, from providing berries for birds, food for bugs, or a place for bees to pollinate. The authors then put this information into context and offer design strategies to implement into a home garden. Helpful charts offer suggested plants, including natives and nonnatives, for each region. 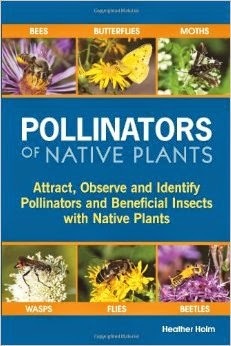 This is the first comprehensive book to illustrate the specific relationships between native pollinators and native plants. 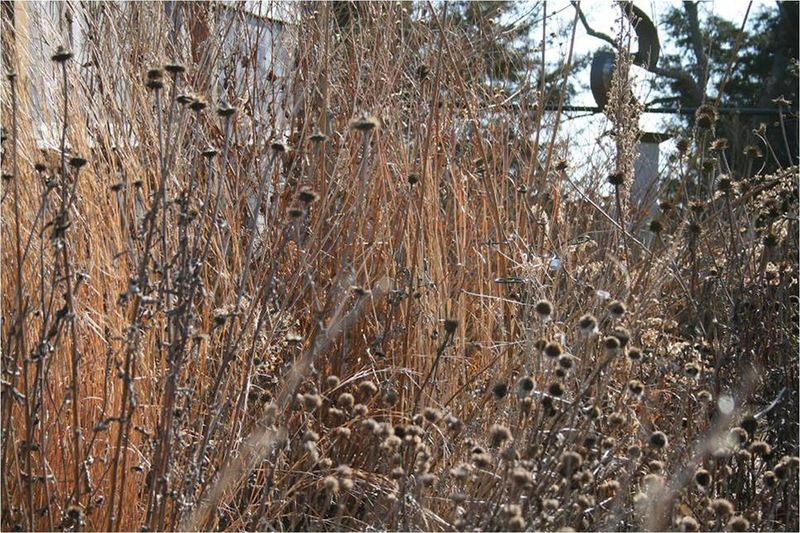 Organized by plant communities, the book profiles over 65 perennial native plants of the Midwest, Great Lakes region, Northeast and southern Canada and the pollinators, beneficial insects and flower visitors the plants attract. With its easy-to-use format, the book provides the reader with information on how to attract, plant for and identify pollinators with native plants. Beautifully designed and illustrated with over 1600 photos of plants and insects, the book includes information on pollination, types of pollinators and beneficial insects, pollinator habitat and conservation as well as pollinator landscape plans. This is an important book for gardeners, students, native plant enthusiasts, landscape restoration professionals, small fruit and vegetable growers and farmers who are interested in attracting, identifying, supporting or planting for pollinators. Oh, so much in the December newsletter! Link on over for the above and more, including the pun and photo of the month (you can pin up both on your work cubicle!). Gardens are one primary way to connect to the world, to lift the veil of our emotions, fears, desires, and hold a dialogue with the environment and species whose language we have forgotten or misplaced. Each garden places us firmly within the context of all life, awakens us to the web, encouragingly humbles us as we become aware of ourselves as a node in that interlinked web. When we touch the soil we touch our ancestors and our children, we know the heartbeats of worms, birds, insects, and mammals with each scrape of the nail and each cut of the skin. The taste of our own flesh is in soil. When we nestle a plant into a newly-dug hole we are reaching out to bees that will gather pollen and frogs that will take shelter in a rainstorm. A garden is our grasping for the world as much as it is a giving to the world – who are we, where have we been, where we will go; a garden is the moment, now, every emotion, every bit of knowing and unknowing coalescing into a timeless equality of mind, body, and spirit. In out best moments we are no less than a garden that serves life, not ourselves. 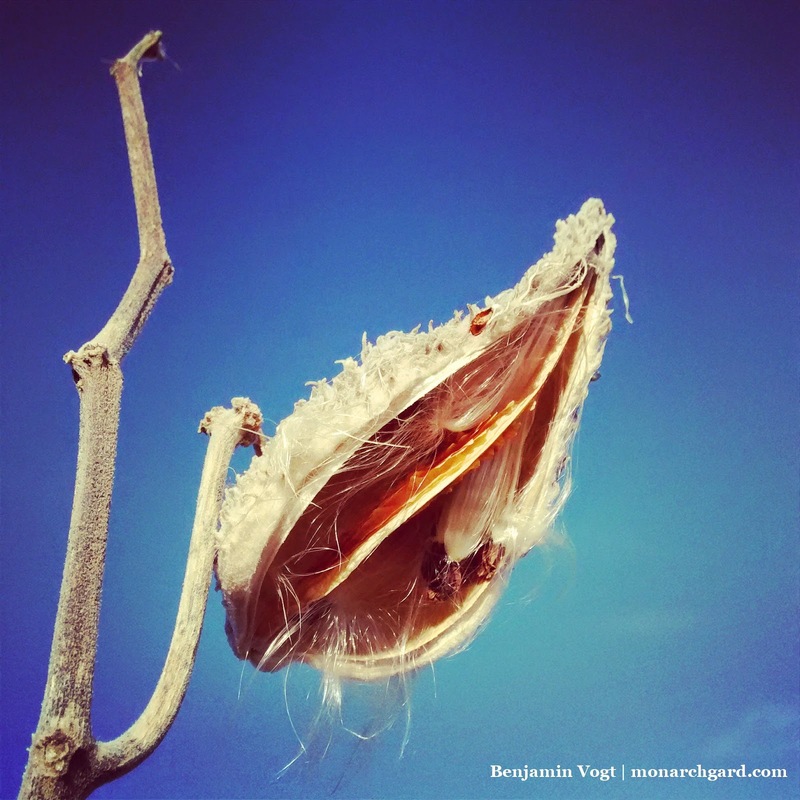 Are Gardens Impositions on Nature? Are They Art? If creation is not a property, I wonder what that means for gardens and designed landscapes. How often we impose our will on the world around us, and how often that will is completely alienated from the world around us. Are gardens impositions on nature? I think a majority are. If gardens are art -- ideal art -- they would act as bridges between our emotional interpretation of nature and what nature inherently is without totally erasing and reworking nature. By "nature" I mean ecosystem function, but even the term "ecosystem function" can become a very slippery slope among ecologists, landscape architects, garden designers, biologists, etc. 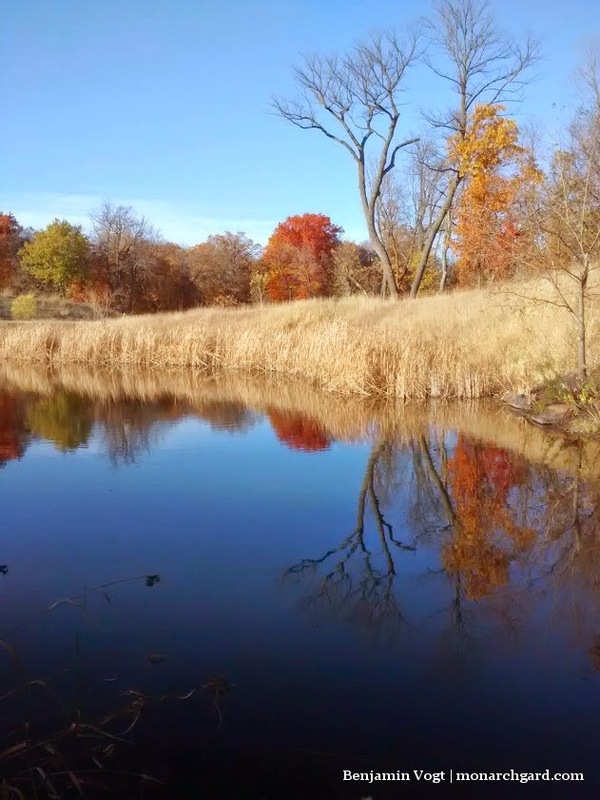 I think we see ourselves mirrored back to us in garden landscapes -- and not much else mirrored back. This is too bad. For a long time gardens have been places to see the self only; luckily, that's slowly changing, but I don't know if it will keep changing or how meaningful that change will become. When Europeans hit the Great Plains they obliterated it, made it into the familiar and what they needed it to be. In a lot of ways our gardens are what we need them to be -- yet we don't fully understand that need, which is maybe more of a want. We also don't understand how providing for the needs of others fills our own needs we never knew existed (here I mean other species). A garden is an echo of our beliefs. A garden is a test of faith, and endurance of hope, a battle of the senses, a voyage against the current. In Christianity Jesus went out into the wilderness to be tested by temptation, and unfortunately this is our protestant view of nature in the western world. Too often gardens and other planted landscapes are a beating back of wildness, a clearing of the forest and prairie to see further in case predators are coming, a place more utilitarian in physical and metaphysical ways than it is a nexus for all life -- and a place for us to re-enter or return to a more authentic connection to life. I wish every landscape I drove by made me want to sing the gift of creation, but I'm more often than not abhorred and alienated from the world. Sometimes, even my own garden feels like a misunderstanding between myself and creation. 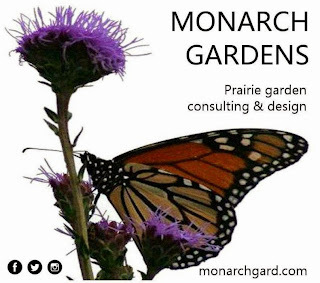 Why fall is tops for planting, garden myth busting, corn doesn't feed the world, my appearance on The Mike Nowak Show, and some gorgeous fall pics await you in this month's Monarch Gardens newsletter.